I am so glad that I had this book forced upon me for class. What an incredible story (loosely based on The Jungle Book) of belonging, coming of age, and journeying on your own. 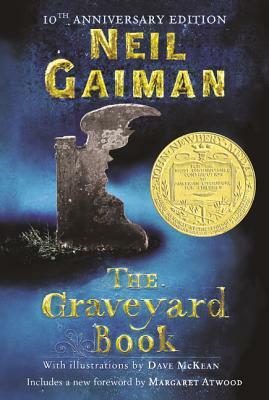 The Graveyard Book is a perfect step into fantasy for those who don't tend to dip into the genre and are feeling a little wild. It's also a really great story that you will can hold with you forever no matter how old you get. I hold this kind of book on the same level as The Little Prince for its importance in children and adults. It's just such a great middle-grade-but-bordering-on-YA book that should be spread widely!